Genkiosk front-end customer facing software handles the direct interactions with your end users. This software is available off-the-shelf or can be custom designed according to the requirements of your project, ensuring your customers’ needs are met in full. 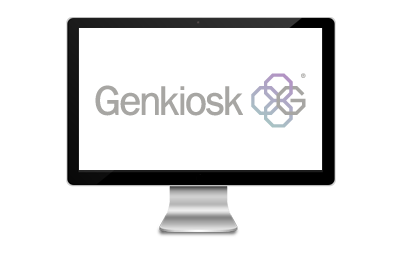 Once your kiosks are launched, the Genkiosk online management system is there with the tools you need to give you full control of your estate, whether you are managing just one kiosk or thousands. Genkiosk front-end software has a 10 year proven track record of providing first class security to the kiosk industry. Genkiosk is designed to be deployed in un-manned locations where cyber vandalism is a genuine risk, hence we ensure all your kiosks are fully locked down when unattended out in the field, thereby giving you complete peace of mind. 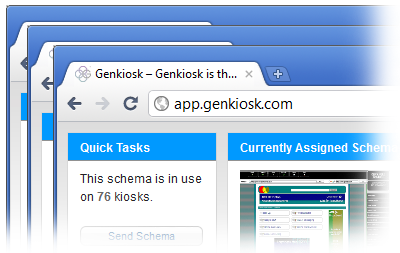 Kiosk content can be deployed, managed & updated remotely via the Genkiosk online management system. You can save hours of time using our one-click schema deployment, which sends content to as many of your machines as require it, at the push of a button. 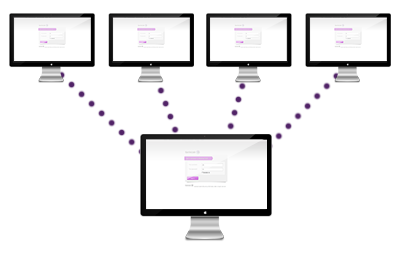 Genkiosk reporting gives you visibility and control. The self-service industry is fast moving and businesses need to react quickly to changes so knowing how your kiosk estate is performing is vital. You will benefit from accurate and up-to-date reporting functionality via the online management software. 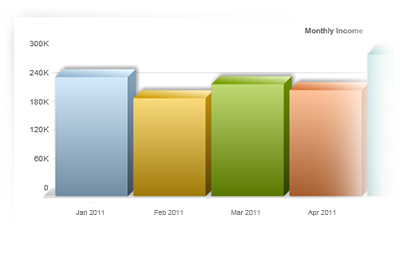 Genkiosk offers reporting on revenue, performance, up-time, usage and more. 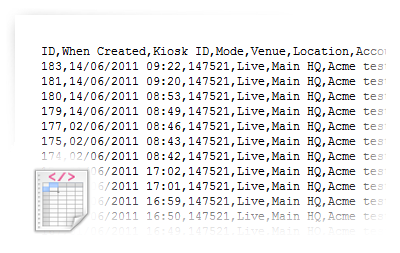 All kiosk data can be exported to CSV format via the Genkiosk management software, which allows you to integrate kiosk data into any third party systems that are used elsewhere in your business. Kiosk peripherals generate a number of messages designed to assist you with maintenance and fault finding. Genkiosk captures these messages and you can view them in the online management system. This functionality ensures that you remain connected to all your hardware and can be confident that in the event of a failure, you will be the first to know. 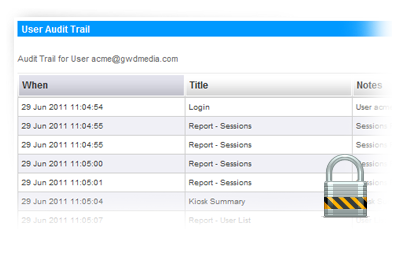 Genkiosk monitors your kiosk activity and can be configured to keep you informed via automated email messages. 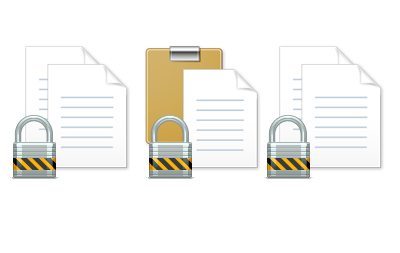 If your cash box is full or your printer roll is empty, Genkiosk will keep you in the loop. When something goes wrong on your kiosk, sending an engineer to investigate can be costly and time consuming. Genkiosk gives you instant access to your kiosk from the comfort of your own office. The diagnostics gives you detailed information on what has gone wrong and will usually enable you to fix it there and then.